Kids, dogs, bunnies, and books. . . what a great relationship! 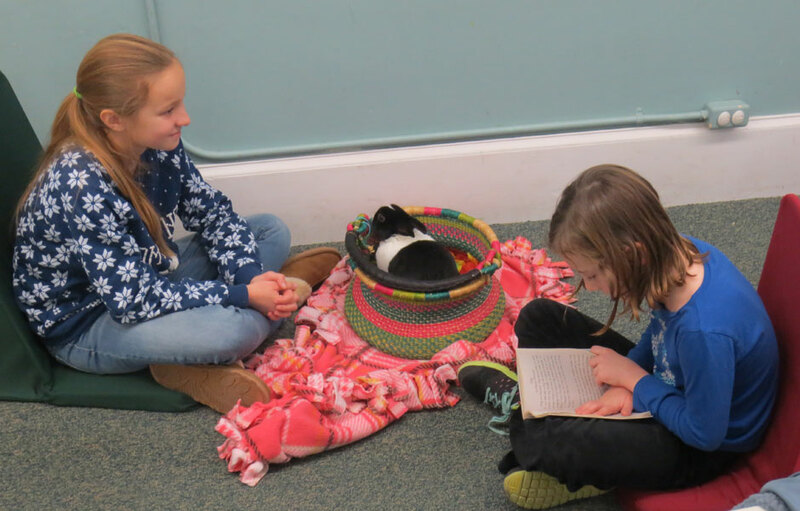 “Paws to Read” pairs dogs and bunnies with young readers who gain reading confidence in a relaxed, stress-free environment. These certified therapy animals are also family pets. 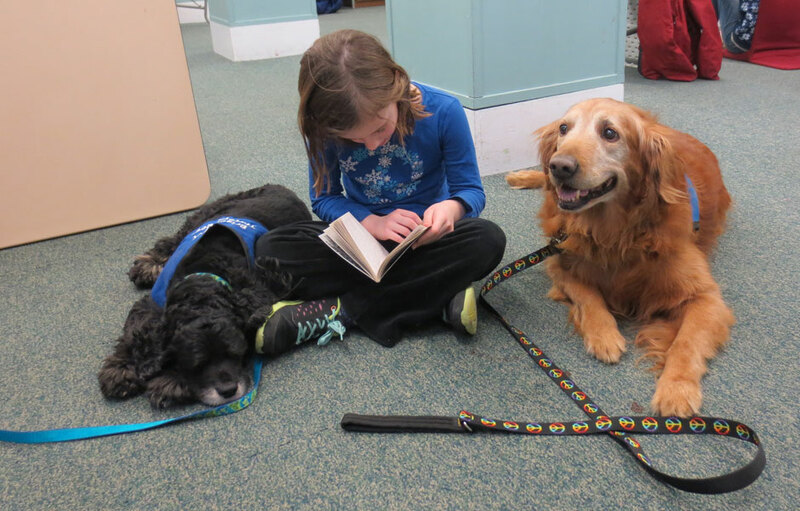 They visit the Library with their owners, who volunteer their time to help young readers. Children’s reading abilities improve as they gain confidence through reading to animals. Why? Animals listen uncritically and wag their tails or twitch their noses as the children read. Research indicates that under these conditions, children’s heart rates actually slow, resulting in a state of calm that leads to greater reading success. “Paws to Read” is for reluctant or struggling readers in 1st to 5th grade.